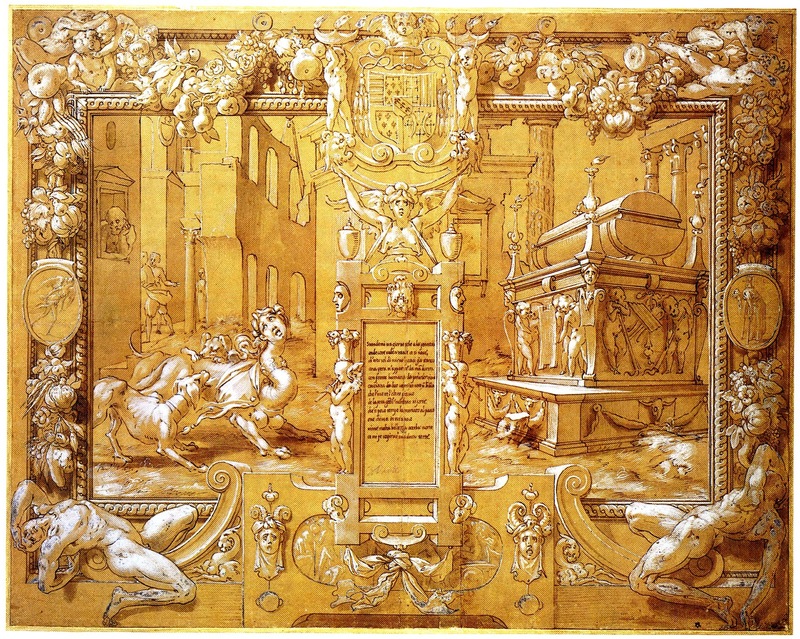 Etching by Antonio Fantuzzi, 32.6 x 25.9 S (Paris). Bartsch, XVI, 1818, 423-424, 115, as Anonymous, School of Fontainebleau. Herbet, V, 1902, 72 (1969, 224), 97, as Anonymous, School of Fontainebleau. Zerner, 1969, XLIV, and A.F.42 (Paris), as done in 1542-1543. COLLECTIONS: Paris, Eb 14d. Vienna, H.B.XIII, 2, p.61, no. 414 (slightly cut at right). Berliner, 1925-1926, I, Pl. 119, 2, Text Volume, 42, as Fantuzzi. 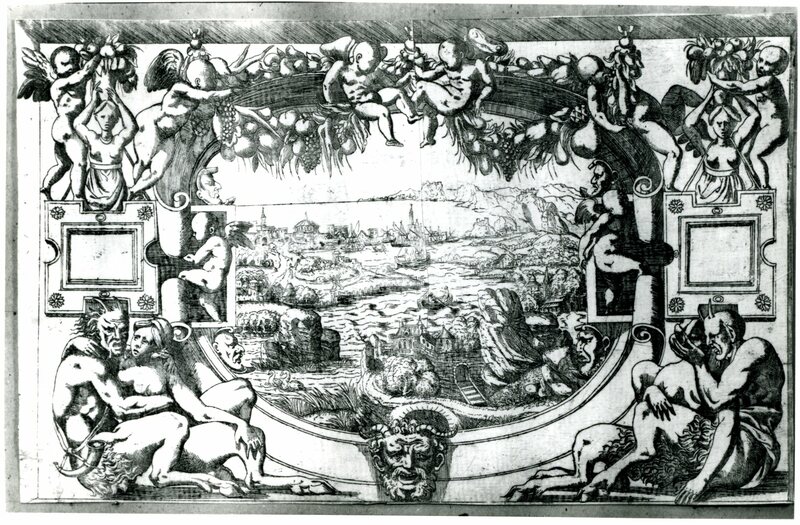 The design of this etching has never been attributed to Rosso and yet it has certain characteristics and details that suggest that it may go back to a design by him. 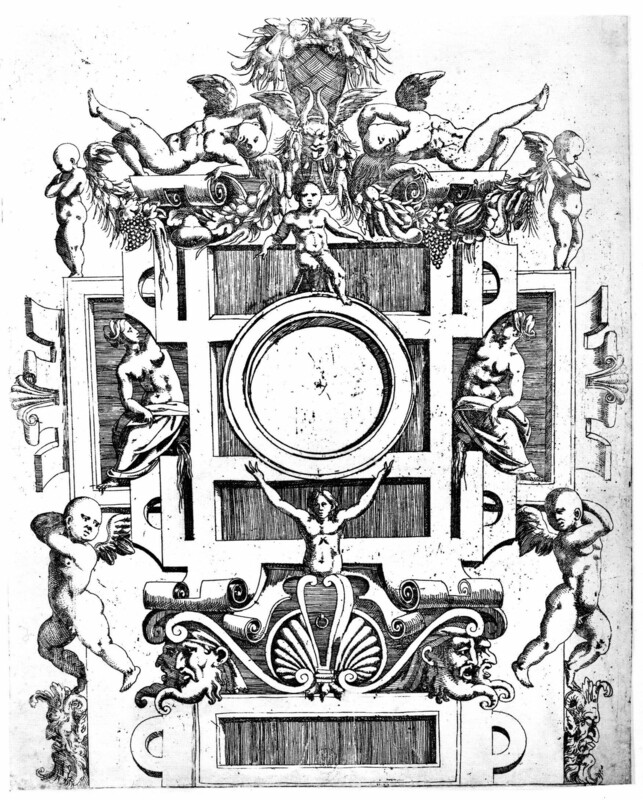 The sleeping putti resemble the sleeping boys in the Petrarch drawing at Christ Church (Fig.D.47a), which has at the very center a woman with uplifted arms similar to the figure under the oculus in the etching. 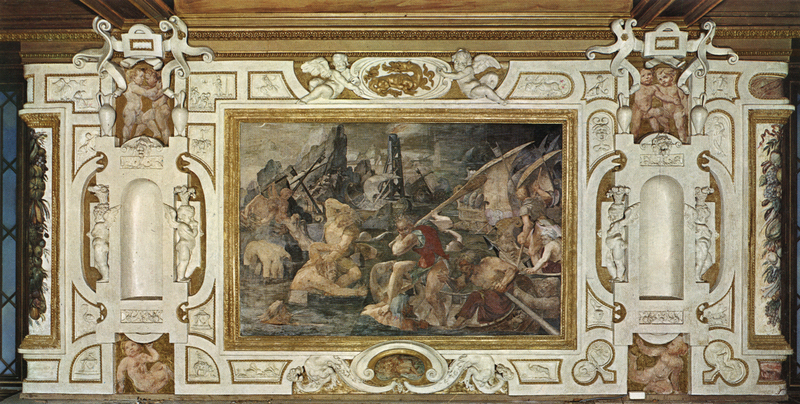 The flat strapwork in the cartouche is similar to that surrounding the Revenge of Nauplius in the Gallery of Francis I (Fig.P.22, III N a). But there are other aspects of the design that suggest the composition is not wholly based on a design by Rosso. The central motif at the bottom is not like any other by him. At the sides, the two putti at the bottom, which could well be Rosso’s inventions, have nothing to stand on. What is possible is that the etcher worked from a fragmentary drawing and made up, but not entirely, what was missing at the bottom. The outermost strapwork at the sides might also be additions. 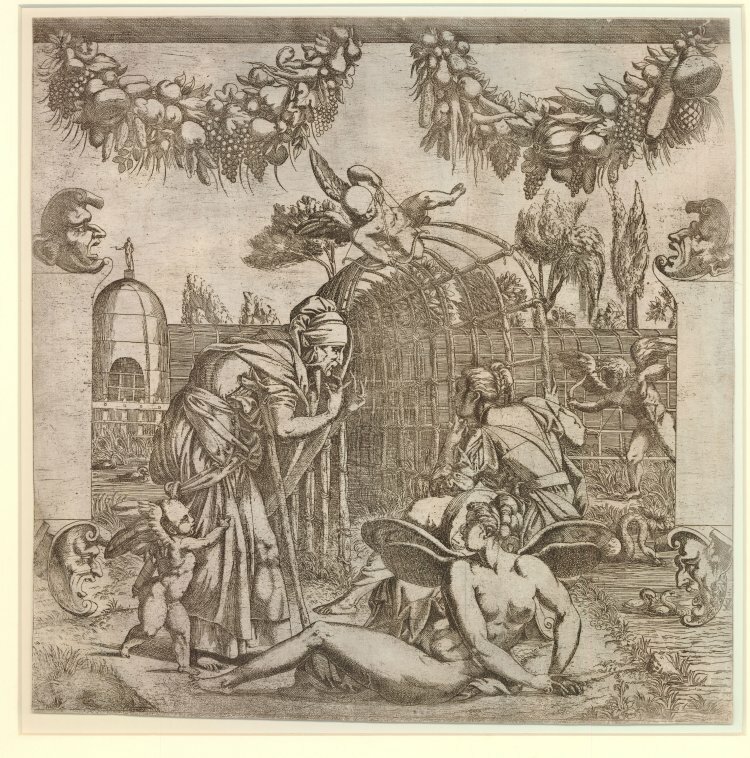 What is identifiable with Rosso seems to date from about the time of the Petrarch drawing or of the designs for the Pavilion of Pomona (L.39), which are known from two etchings by Fantuzzi, of the central scene (Fig.E.62a) and of the frame (Fig.E.63), and which show bald-headed putti similar to those in the cartouche. A date around 1533-1534 seems likely. 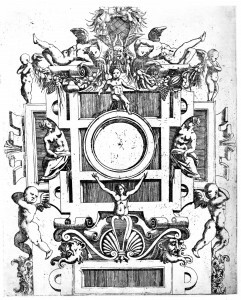 On the possibility that this cartouche is related to what Rosso may have designed for the Small Gallery at Fontainebleau, see L.41.